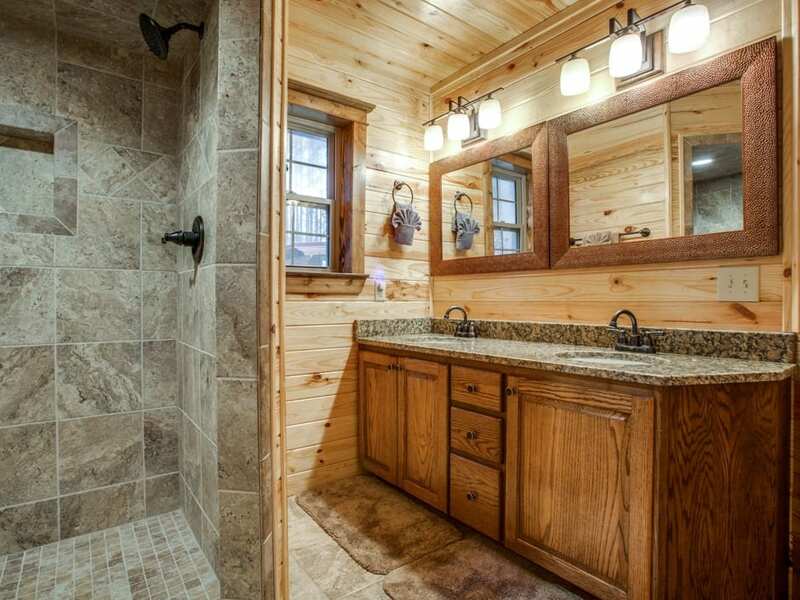 Enchanted Woods sits on a hill next to beautiful forestry land the Enchanted Woods Cabin is sure to please and enchant any adventurer. 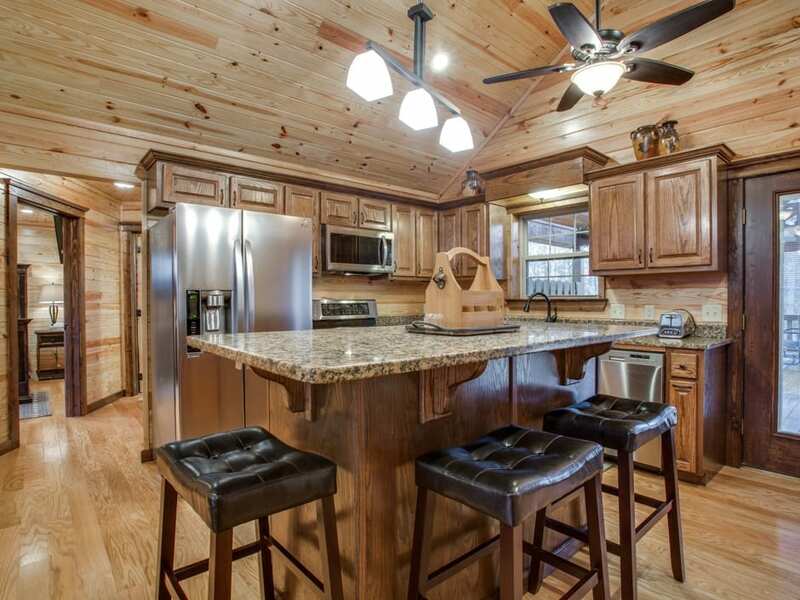 Enchanted Woods is a new, roomy 2 bedroom 2 bath luxury log cabin. While you are here you can take a walk in the woods and discover nature at it’s best. 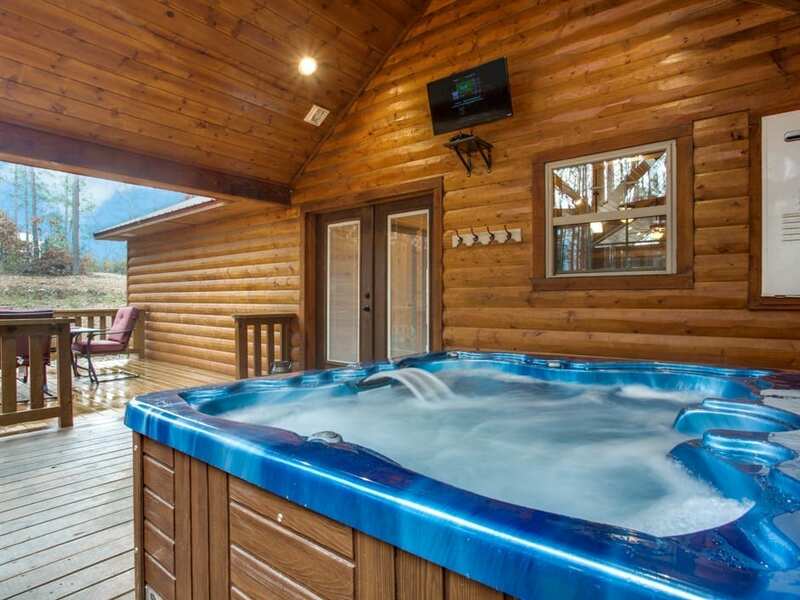 Enjoy a cup of hot cocoa around the gas fireplace or just relax in the 4 person hot tub with a glass of wine and enjoy the scenery of the forest or watch the flat screen TV provided on the back deck. 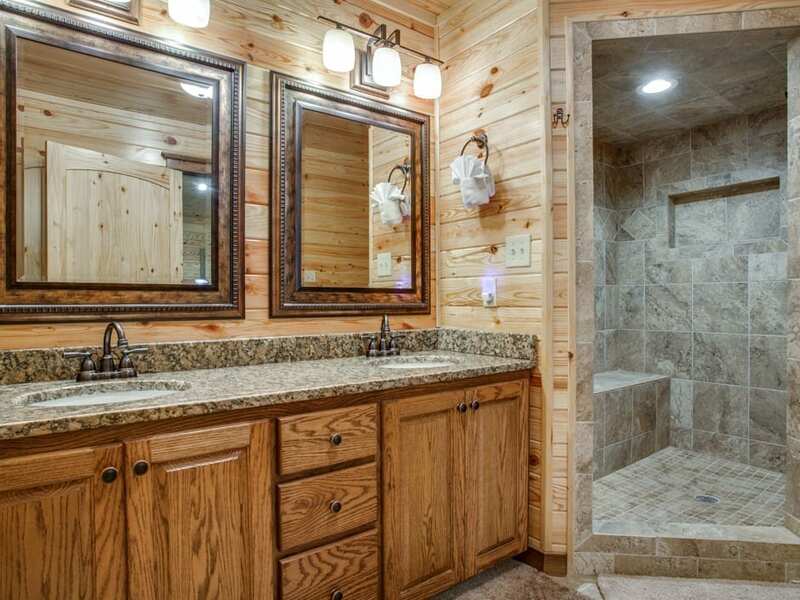 This is a newly developed addition and you are sure to see wildlife such as squirrel, raccoon, and deer come out in the evenings while enjoying s’mores around the fire-pit. The living room is spacious and for your viewing enjoyment there’s a large flat screen TV above the fireplace. 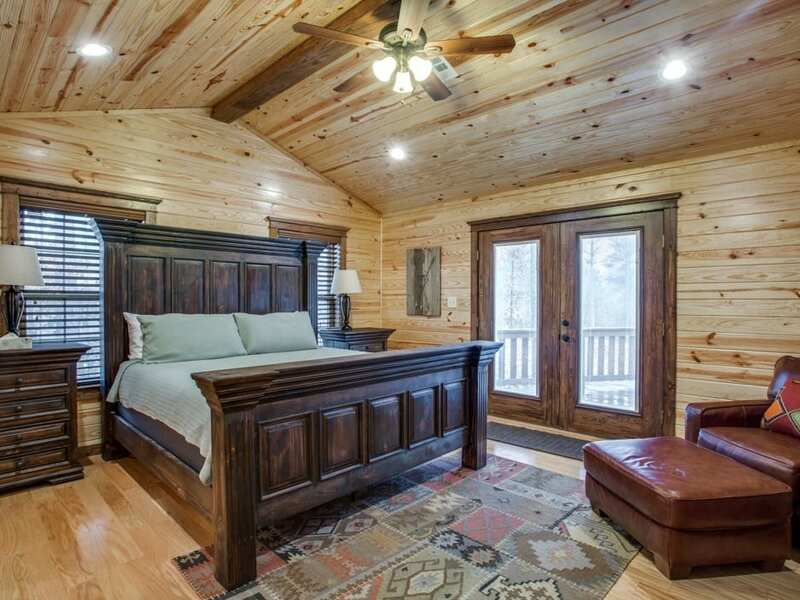 Ready to retire for the night-no problem the king master suite has everything you need to sleep like a baby or you could watch some late night television on the flat screen before getting some Z’s. 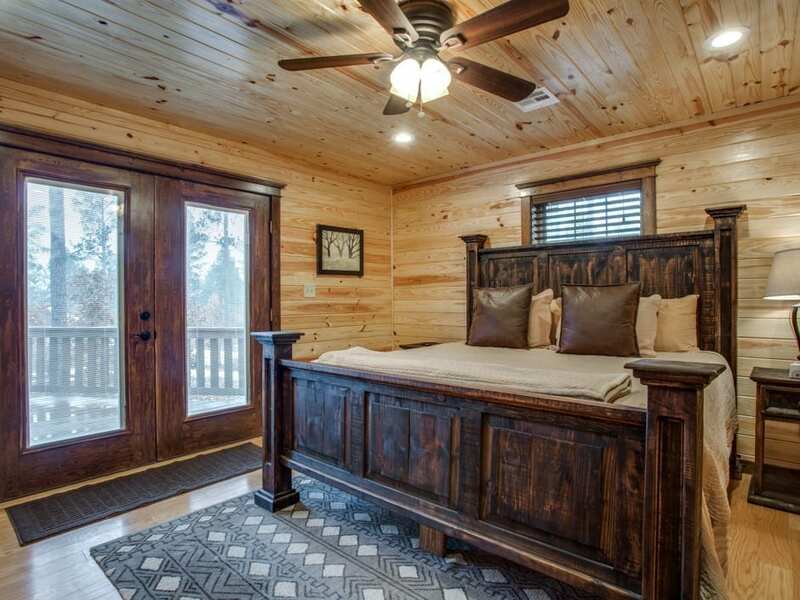 The 2nd bedroom is also equipped with a king bed and plenty of room to move about with a flat screen TV to watch on those mornings you want to stay in bed and have your morning coffee. 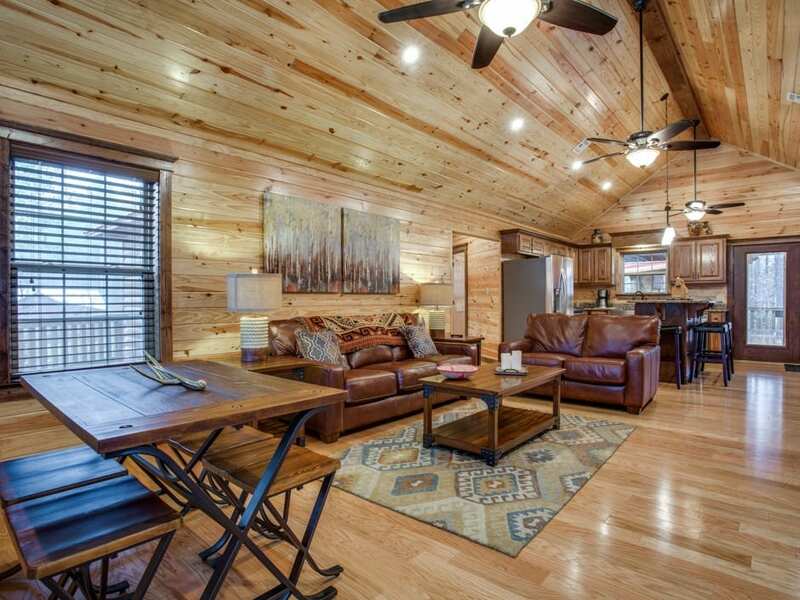 Enchanted Woods is just a couple minutes away from fine dining and local boutiques. A short drive up the road 2-4 miles you will find the most beautiful lake Oklahoma has to offer. You can rent a ski boat, fishing boat, pontoon boat, jet skis and you can go water boarding or snorkeling. There’s so much to do if water sports isn’t your style then you may want to go for a horseback ride, take one of Beavers Bend State Parks premium hiking trails or be very adventurous and try out the new zip lining course. 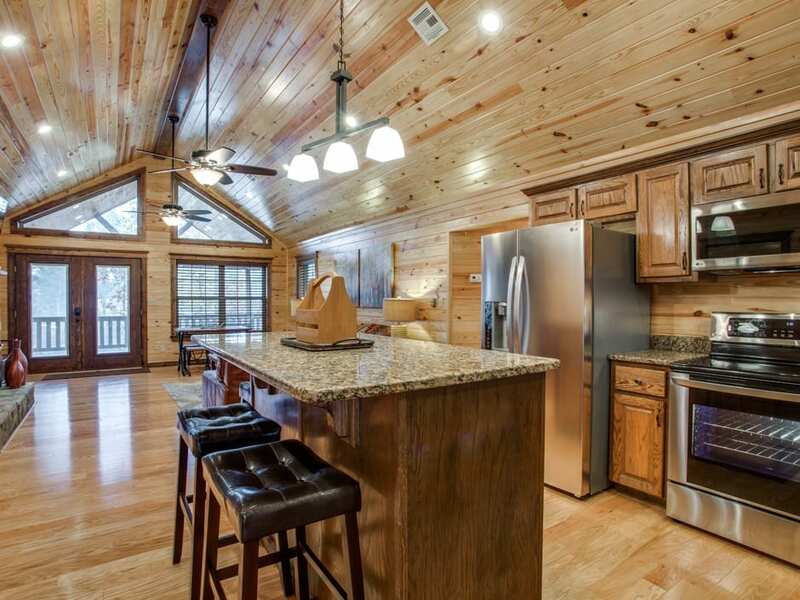 There’s is something for everyone and if you’ve already tried all of the local cuisine you can always grill some scrumptious burgers on the back deck and enjoy another great evening with at the Enchanted Woods Cabin.